Enjoy ample storage in your bedroom with our Amish made Amish Walton Hills Storage Bed! Available in a full, queen, king, or california king size! 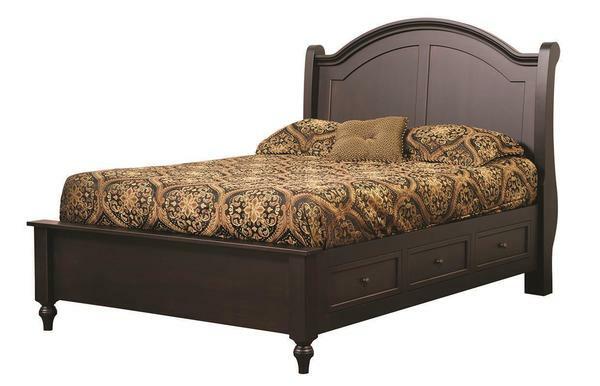 This Amish storage bed is an heirloom quality bed that will surely last a lifetime. Store clothes, shoes, keepsakes, bedding, blankets and more in the six spacious drawers included with this beautiful storage bed! The raised drawer unit under this Amish bed will allow you to have lots of storage in your bedroom, but will still allow you to clean underneath your bed! There is 6" of clearance from the floor to the bottom of the side rail where the drawers are. 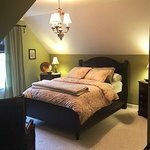 Discover the benefits of Amish bedroom furniture through this Amish and American made bed! Pegged support, flush drawer fronts and authentic Amish craftsmanship are standard for this bedroom centerpiece!